Delve into this season's three new stories about Latino culture and history. 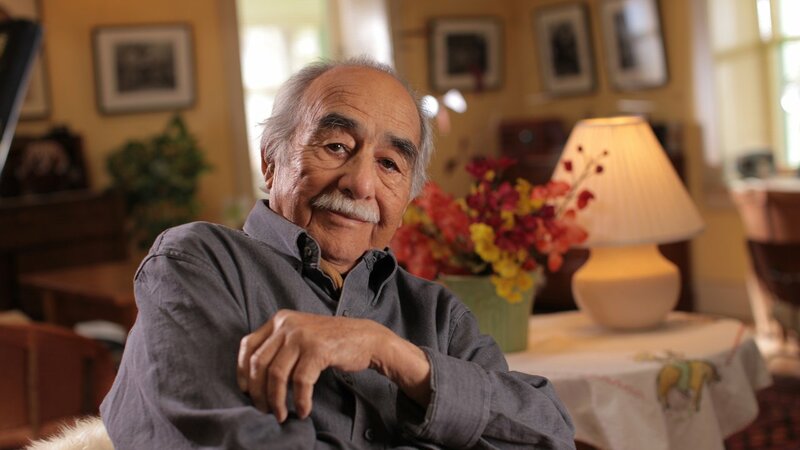 Produced by Latino Public Broadcasting, "VOCES" is PBS’ signature Latino arts and culture documentary showcase and the only ongoing national television series devoted to exploring and celebrating the rich diversity of the Latino cultural experience. 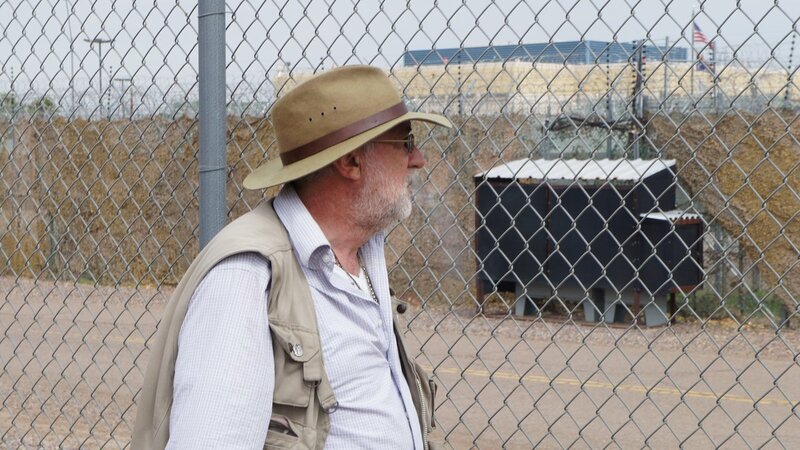 Season 4 of "VOCES" explores the ever-evolving relationship between Latino culture and the larger fabric of American society, from a classic movie set in remote Texas to modern day Hollywood to the frontlines of the drug war. 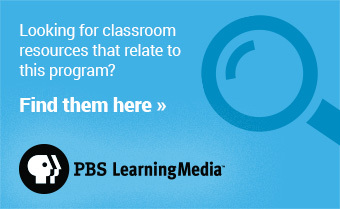 The series is presented by PBS SoCaL and supported in part by the National Endowment for the Arts, the National Association of Latino Arts and Cultures, the Ford Foundation, and the Surdna Foundation through a grant from the NALAC Fund for the Arts Grant Program. Read more about the Season 4 films below. A Closer Look at Season 4 of "VOCES"
James Dean taking a break from filming in Valentine, Texas with local Marfa children, Roberto Marquez (left) and Jose Luis Vasquez (right).Richard C. Miller The film explores how the making of a classic Hollywood movie transformed the lives of the residents of a small Texas town. 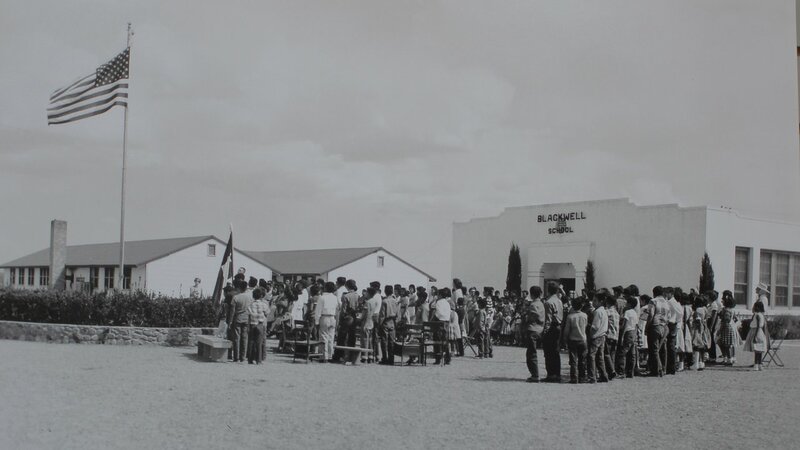 In the summer of 1955, it seemed as if all of Hollywood had descended on the dusty town of Marfa as production began on the highly anticipated movie Giant. The film starred a legendary trio — Elizabeth Taylor, Rock Hudson and James Dean — along with the young actor Earl Holliman and 16-year-old Elsa Cardenas. 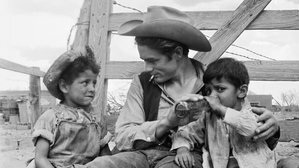 Based on Edna Ferber’s controversial novel, Giant was a different kind of western, one that took an unflinching look at feminism and class divisions and one of the first films to explore the racial divide between Anglos and Mexican Americans in the Southwest. 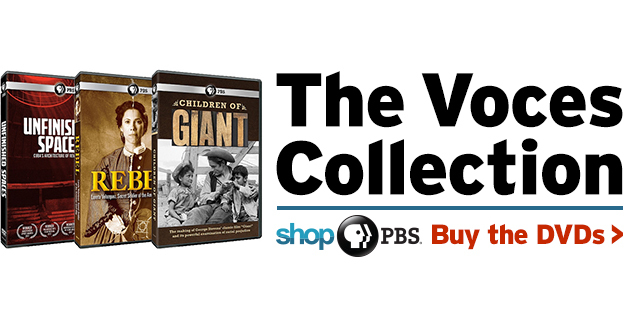 Now, 60 years later, Children of Giant returns to Marfa to explore the dramatic story behind the making of the film and its enduring legacy. 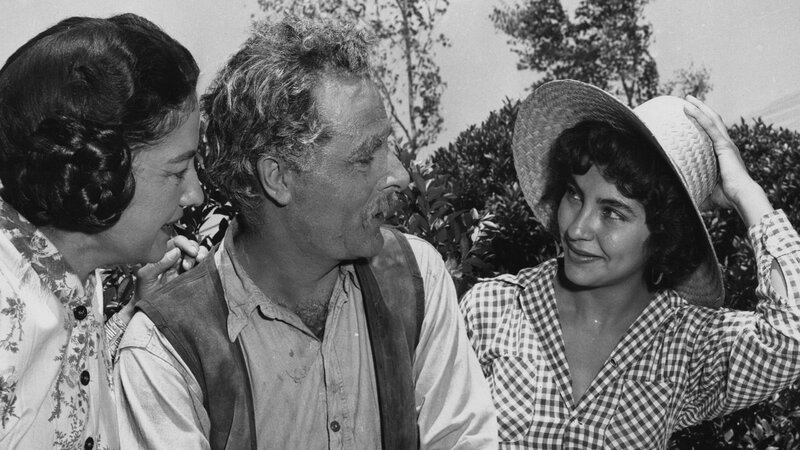 The program combines interviews with the surviving cast and crew of Giant — including George Stevens, Jr., Earl Holliman and Elsa Cardenas — with the recollections of residents who participated in the production, many of whose lives mirrored the controversial themes of racism and segregation explored in the film. 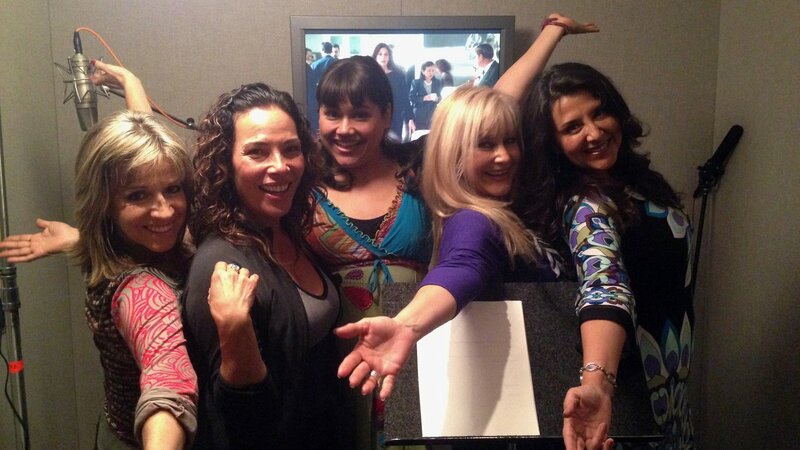 Gabriela del Carmen, Marabina Jaimes, Natasha Perez, Marcela Bordes and Ivette Gonzalez at CCI Digital for Now En Español.Andrea Meller A fascinating look at a rarely seen side of Hollywood, Now en Español follows the trials and travails of five hard-working Latina actresses who dub Desperate Housewives for Spanish language audiences in the United States. With real lives that are often as dramatic and as desperate as those of their onscreen counterparts, the five dynamic women struggle to pursue their Hollywood dreams while balancing the responsibilities of paying rent and raising children. Each actress is at a different stage on the path to success but all have to confront the precarious nature of their careers when the dubbing of Desperate Housewives is cancelled and their jobs come to an end. Shot over the course of several years by Latina filmmakerAndrea Meller, Now en Español offers an inside look at the challenges faced by many Latino actors while offering a warm and engaging portrait of five gutsy women as they follow their dreams against all odds. El Poeta - Javier SiciliaLoteria Films Both heartbreaking and inspiring, El Poeta tells the story of renowned Mexican poet Javier Sicilia, who ignited mass protests and an ongoing international movement after the brutal killing of his 24-year-old son Juan Francisco — collateral damage in a drug war that has left more than 100,000 dead or missing since 2006. 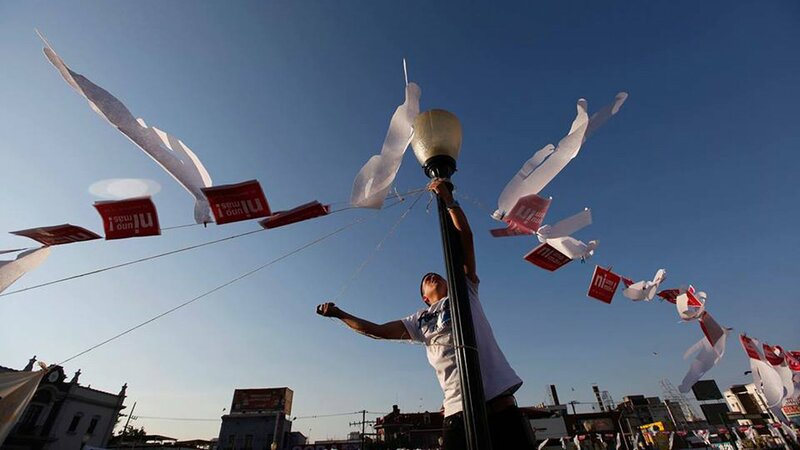 After his son’s death in 2011, Sicilia called on the Mexican people to protest, bringing more than 100,000 people to the capital demanding that the government address the devastating impact of the militarized drug war. 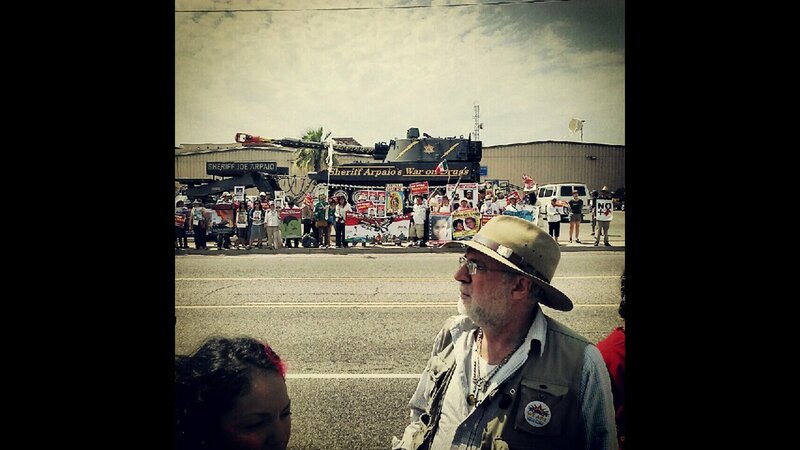 The movement launched caravans throughout Mexico and then crossed the border to the United States, urging American citizens and lawmakers to acknowledge that America’s appetite for drugs (the U.S. makes up 90 percent of the market for Mexican drugs) and loose gun laws have fueled the ongoing war. Filmed over three years, El Poeta follows Sicilia's journey from Mexico’s most embattled cities, including Juarez, Chihuahua and Durango, to the U.S. The news story of drugs, murder and corruption is transformed into a deeply personal examination of the impact of loss on the human psyche — as well as the power of protest and the courage of conviction to inspire positive change. 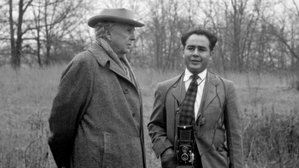 Architect Frank Lloyd Wright and photographer Pedro E. Guerrero.Pedro E. Guerrero Archives Explore the life and work of photographer Pedro E. Guerrero (1917–2012), a Mexican American, born and raised in segregated Mesa, Arizona, who had an extraordinary international photography career. 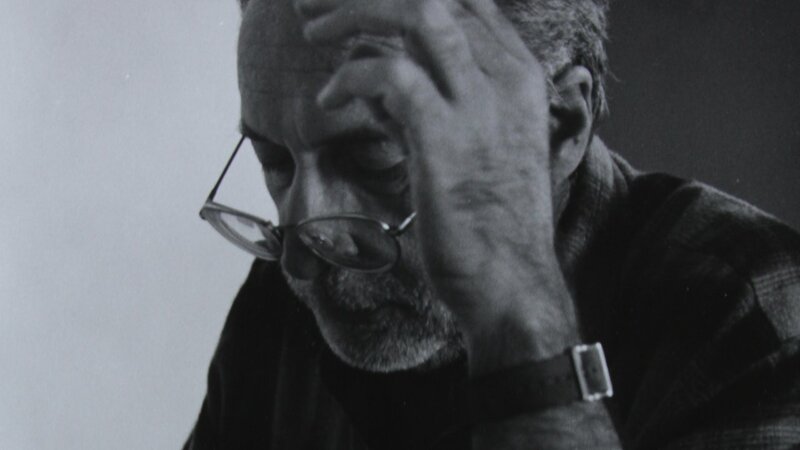 Filmmakers Raymond Telles and Yvan Iturriaga (Latino Americans) use an exclusive interview with Guerrero and the artist's work to explore his collaborations with three of the most iconic American artists of the 20th century: architect Frank Lloyd Wright and sculptors Alexander Calder and Louise Nevelson. 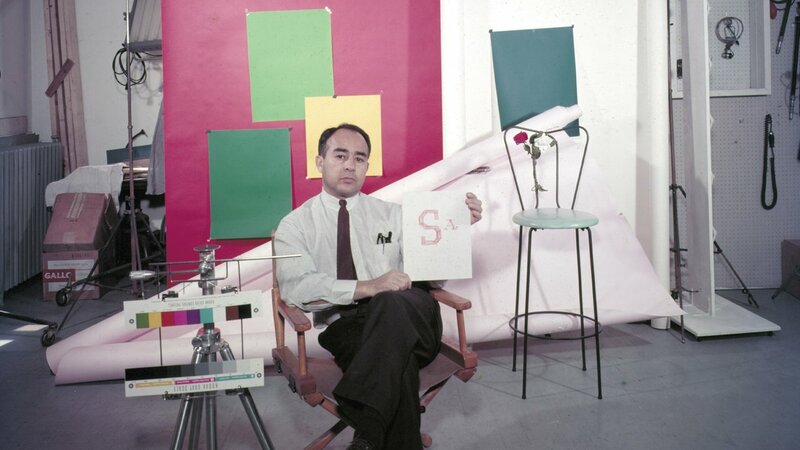 Using his outsider’s eye to produce insightful portraits of important modernist architecture, Guerrero became one of the most sought-after photographers of the “Mad Men” era, yet his story is largely unknown. Learn more about the films of VOCES. See more video from Season 4.